I for one will be keeping an eye on I Am Giant with keen interest. 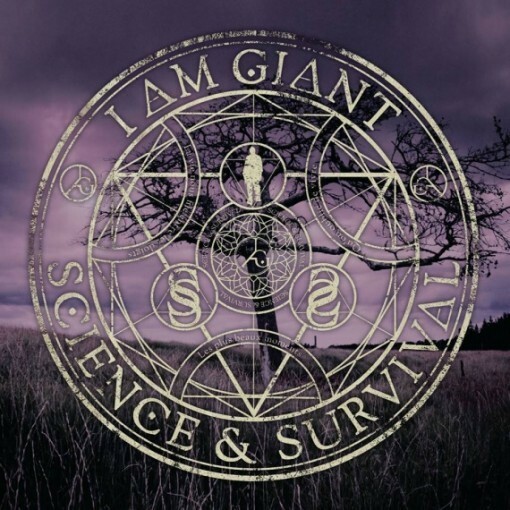 I Am Giant are a Modern Rock quartet from New Zealand (by the way of London) and 'Science And Survival' is the follow-up to their Gold certified debut, and New Zealand's biggest selling Rock album of 2011, 'The Horrifying Truth'. The band features vocalist Ed Martin, drummer Shelton Woolright, bassist Paul Matthews and guitarist Michael Triponel (though several other guitarists also took part in the recording process). The album was created during a period of time in France, with long-time collaborator and producer/engineer Forrester Savell, then completed in both London and New York. After a brief intro, things kick into gear with 'Echo From The Gallows'. The song is intense, immediate and dripping with in-your-face melody. Up next is the first single 'Razor Wire Reality' which again combines some powerful riffs and emotional melodies. The song structures offer a lot in terms of variety and though the style is by no means Progressive; we are talking more than just basic verse/chorus/verse/chorus affairs. Atmospheric undertones embellish the sound, adding to the uniqueness, and though references do not readily come to mind, the second single 'Death Of You' has elements of both U2 and Muse alongside some quirky hi-tech enhancements that are reminiscent of several AOR bands from the 1980s. 'Transmission' bounces along on a combination of jangly and corrosive riffs, again containing an infectious hook, whilst 'Dragging The Slow Dance Out' is a subtly executed semi-ballad that caresses the senses and contains an impressive Martin vocal performance. The ambient moods continue through the dreamy bridging piece 'Miss Seattle' before the anthemic tones of 'Minefield' and 'Standing On The Sun (And I Like The View)' assault the aural senses once more. Everything comes to a close with the thirteen minute epic 'Bought With Ignorance, Sold With Arrogance'. I'm not a fan of overly long songs but this one would give the most self-indulgent Prog outfits a run for their money and during its running time summarises everything that has gone before. 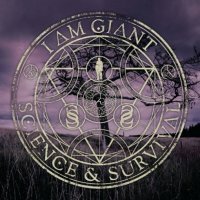 The fact the music is not too heavy means it should be accessible to even the most diehard member of the fluffy brigade and I for one will be keeping an eye on I Am Giant with keen interest.